Back to Back(B2B) process is used for items that are not typically stocked nor manufactured. In an environment where lead times are often only a matter of 24 hours, the B2B process improves efficiency of the three steps above, by closely linking the Sales Order and the Purchase Order together. 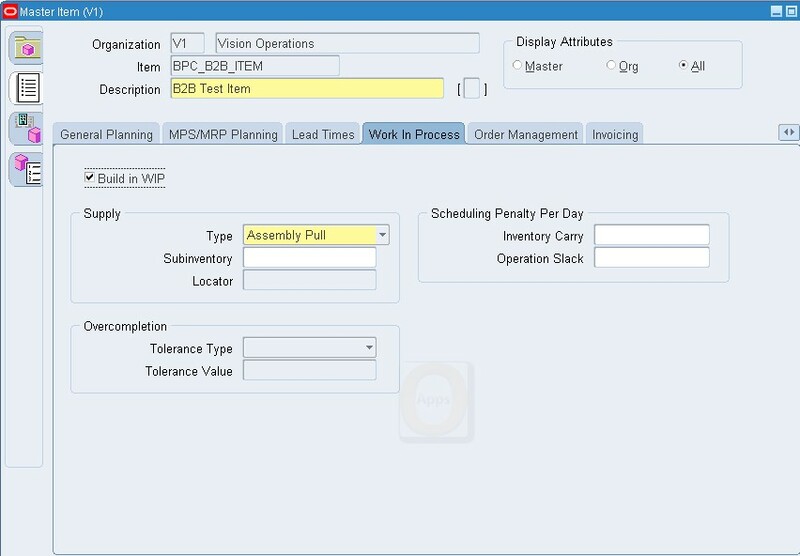 The B2B process automates the creation of a supply order (PO) when a sales order is booked. 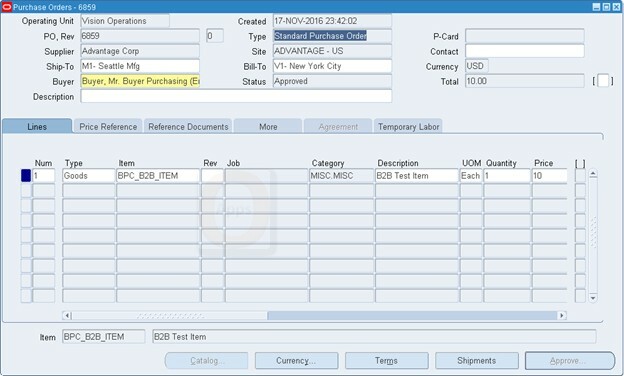 The supply order is hard pegged (hard-reservation) to the sales order that it is supplying so that once the PO is received, the items are not inadvertently taken by another order or demand. Where the sales order line is within the process, can be visible at all times so that customer service inquiries can be answered. This process is also called Supply to Order. 1. 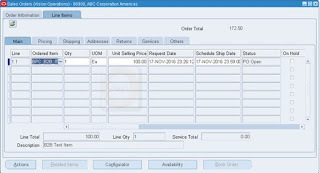 Customer orders items (OM). 2. Purchase those items from the supplier (PO) and receive them into the warehouse. 3. 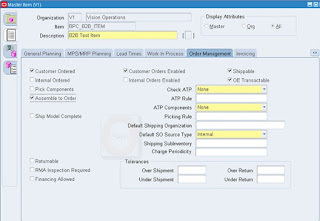 Ship those items to the customer (OM). Enter item name and description. 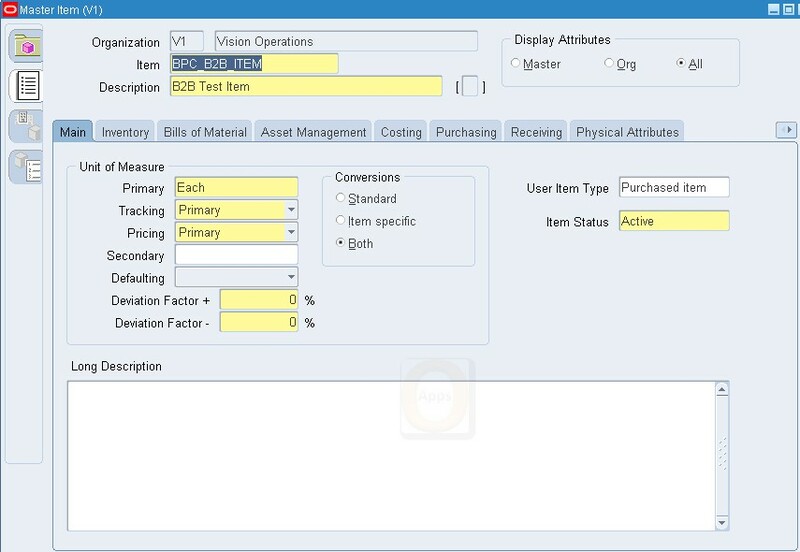 From Tools > Copy From, apply the Purchased Item template. 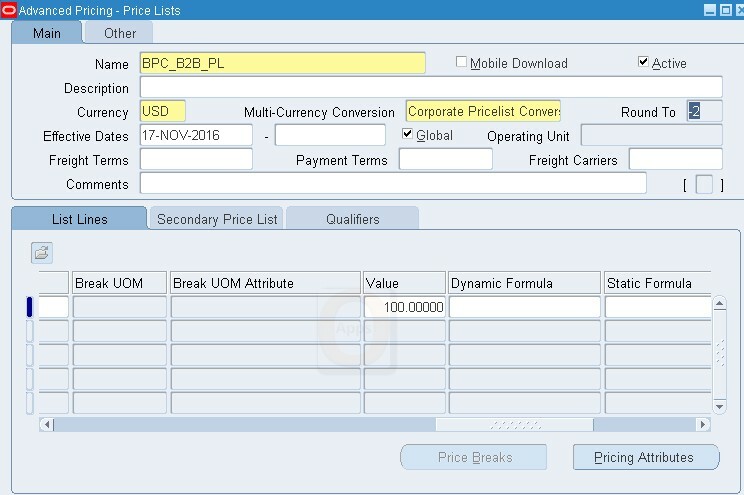 In the Purchasing tab, enter a value in the List Price field. 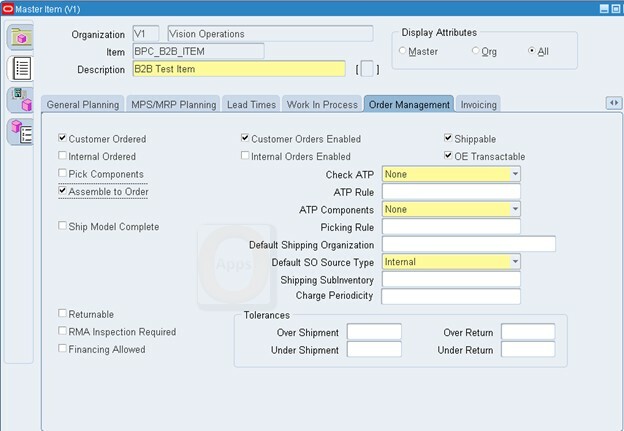 In the Order Management tab, check the Assemble to Order flag (ATO). 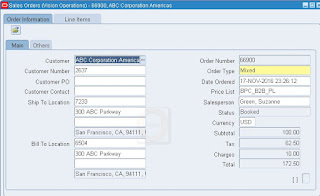 B2B item must be created at item validation org. Sourcing rules can be set up in PO to default sourcing information such as the supplier from which the item is purchased. Go to OM > Orders, Returns > Sales Orders. 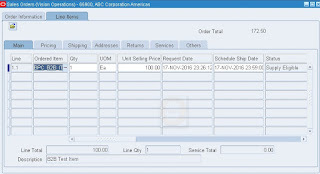 Create a sales order with Order Type Mixed and enter the B2B item created in previous step in the lines for any quantity. The line status will move to Supply Eligible (flow_status_code SUPPLY_ELIGIBLE). The line status will now show PO-ReqRequested/External Requisition Requested (flow_status_code PO_REQ_REQUESTED). 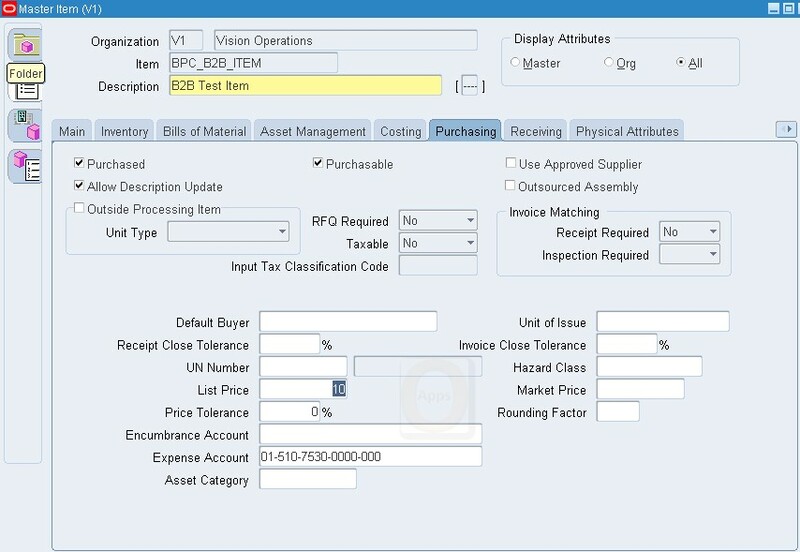 OM has inserted a record in the PO requisitions interface table. 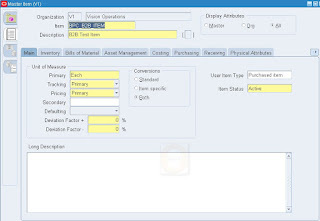 Go to Purchasing > Reports > Run and run the concurrent program Requisition Import with the Import Source parameter = CTO. Leave the other parameters as default. 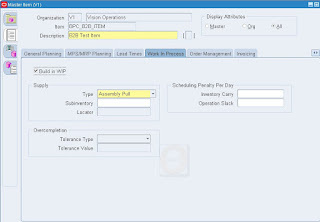 The concurrent program can also be run from OM > Orders, Returns > Requisition Import. Go to View > Requests and verify that the Requisition Import has completed successfully. 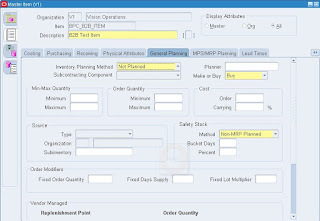 From the sales order line, go to Tools > Scheduling > Reservation Details > 'Supply' tab. Verify that the order line is reserved against the requisition. Note down the requisition number seen in this window. 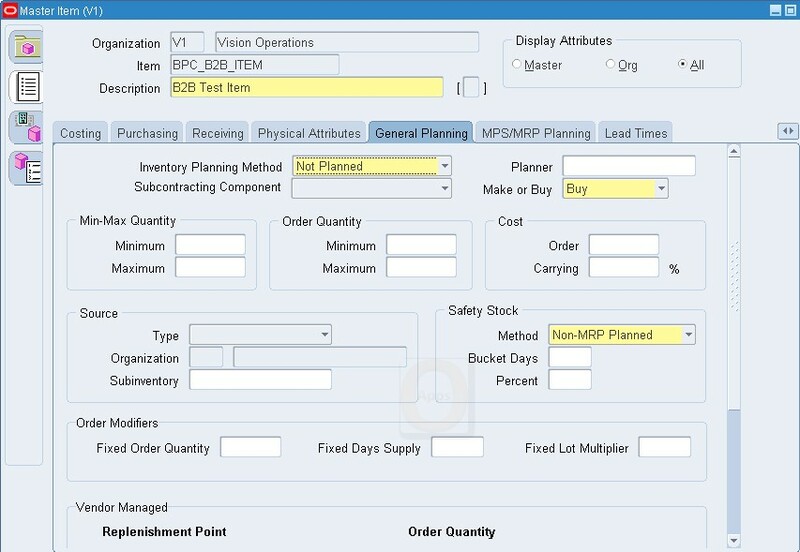 Go to Purchasing > Requisitions > Requisition Summary. 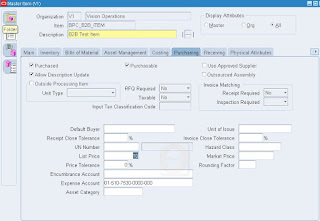 In the Find Requisitions window, enter requisition number found in the previous step and click on Find. Go to Purchasing > Autocreate. From Edit > Clear > Record, clear any query criteria that may be defaulted like buyer, requester etc. Enter requisition number and click Find. Go to Purchasing > Receiving > Receipts. 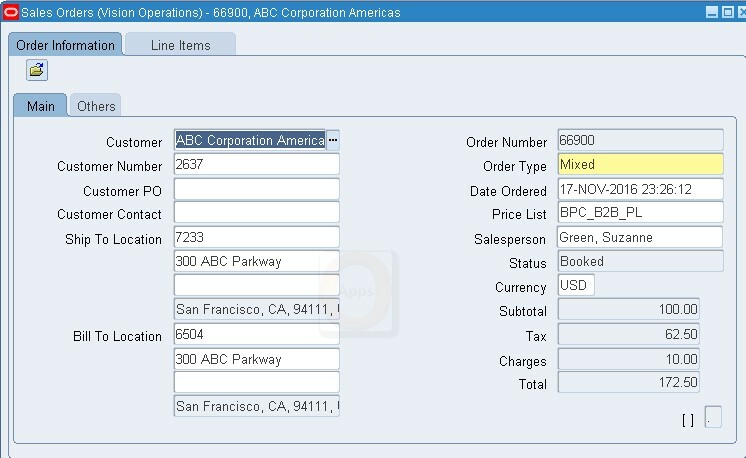 Enter Purchase Order number and click on Find. Go to Purchasing > Receiving > Receiving Transactions Summary. 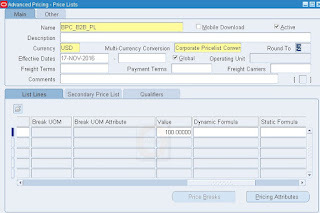 Enter the Purchase Order number and click on Find. Click on the Transactions button. Verify a Receive and Delivery transaction. This means that the B2B item has been received into Inventory. 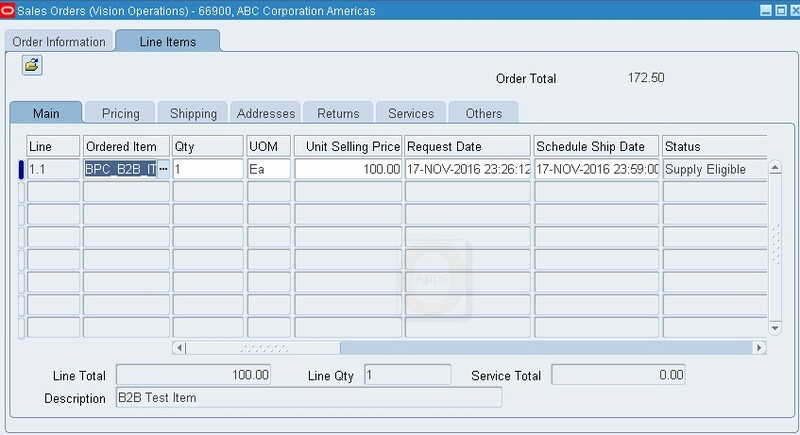 The line status of the sales order line will now show Awaiting Shipping (flow_status_code = AWAITING_SHIPPING). 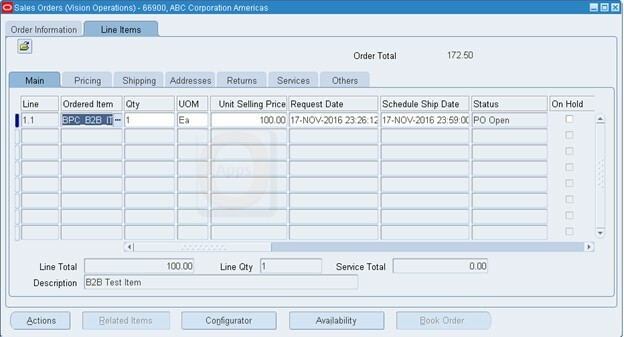 On the sales order line, Tools > Scheduling > Reservation Details will now show that the item is reserved against Inventory in Subinventory = FGI (PO has been received in this subinventory). The line can now be pick released, shipped and invoiced to the customer. This completes the Back to Back Order workflow.